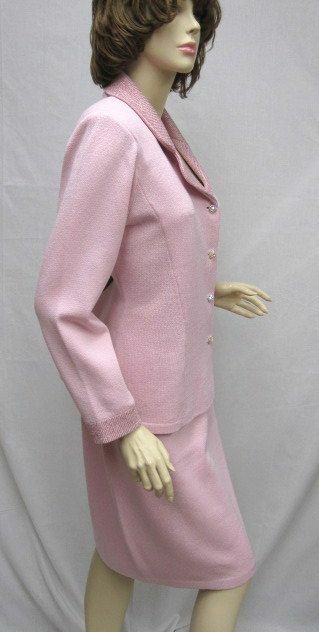 Click the button below to add the St John Knit NEW Pink Princess JACKET SKIRT SUIT SIZE 12 14 to your wish list. 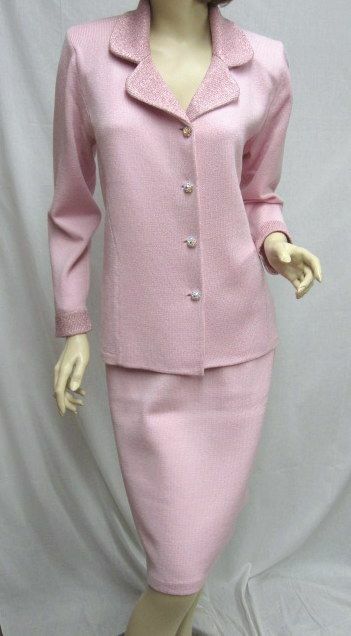 CLASSIC 4 You St John Knit New Without Tags Pink Gorgeous Jacket Skirt Suit SZ 12 14. This is a beautiful color suit. It is santana knit. 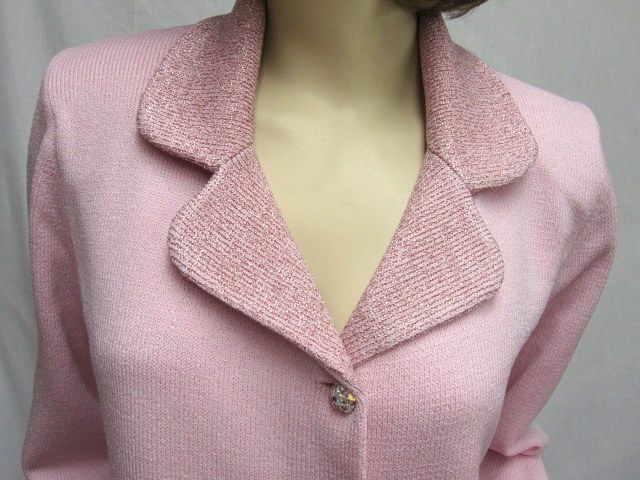 It has a lapel collar and a princess line fit, There are 4 gorgeous crystal buttons in front. 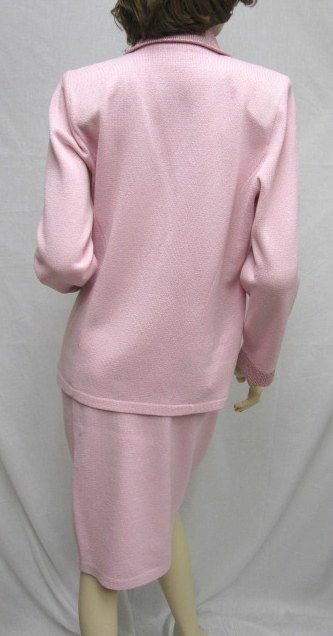 Features a shimmer trim on neck and sleeves. Matching skirt with elastic around the waist for a perfect fit. Great for summer! Shoulders: 16" Bust: 41" Waist: 39" Hips: 44" Length: 25" Sleeve Length: 23"
Waist: 34" Hips: 43" Length: 25"
This suit is new without tags. Your satisfaction is very important to us, so please don’t hesitate to ask us any questions. 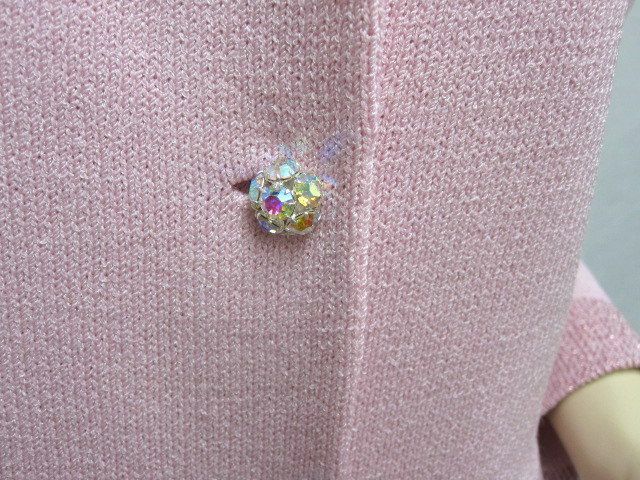 Thank you..
St. John Knit NEW Pink SWAROVSKI CRYSTAL Jacket Zipper Pull 1"